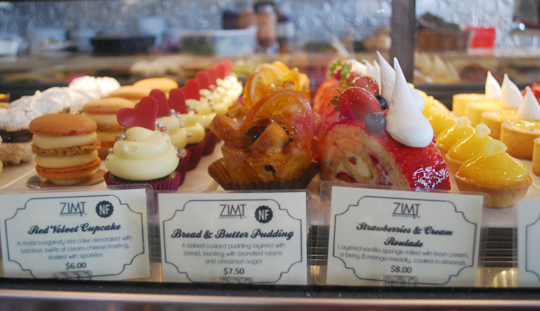 A friendly local bakery and cafe with a loyal following, Zimt offers a classic high tea on a tiered stand, as well a range of other lunch options and traditionally made baked goods. 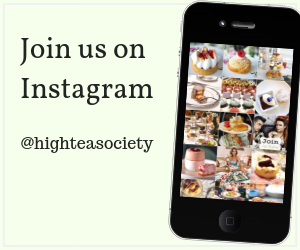 High Tea Society enjoyed high tea on a beautiful Sunday afternoon at Zimt Patisserie Bakery Cafe in Surrey Hills, Melbourne. 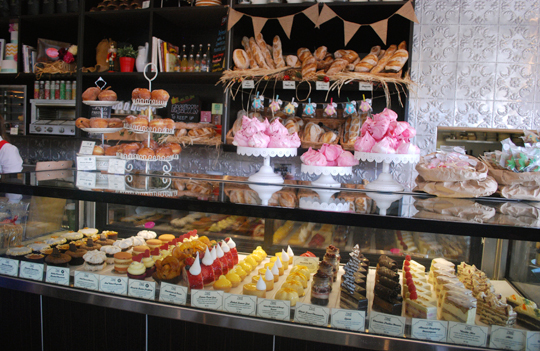 A friendly local bakery and cafe with a loyal following, Zimt offers a classic high tea on a tiered stand, as well a range of other lunch options and traditionally made baked goods. 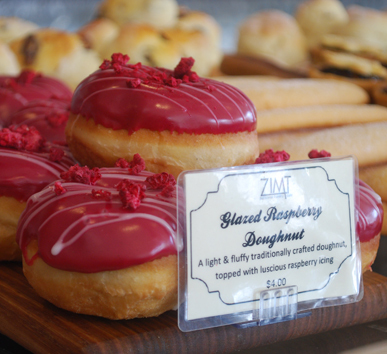 Set on a buzzing corner in Surrey Hills, Zimt is clearly a neighbourhood favourite with a counter full of delicious looking hand dipped donuts, lavishly iced carrot cake, retro gingerbread cookies and other delicious European-inspired treats, surrounded by a busy light-filled café. 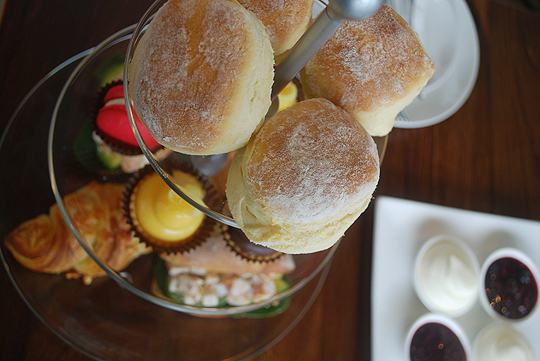 High tea is served to café patrons on a three-tier glass stand and consists of a beverage of your choice plus homemade scones with jam and cream (of course), a selection of miniature cakes and a selection of Zimt’s most popular savouries. A choice of Tea Drop teas is the obvious choice, but my guest and I both went non-traditional with our beverage choices, ordering a coffee (Campos coffee) and an iced chocolate instead. My iced chocolate, served in a tall glass with a cute red and white paper straw, was mostly milk and vanilla ice-cream rather than chocolate, but did serve as the perfect foil to the delicious high tea stand. 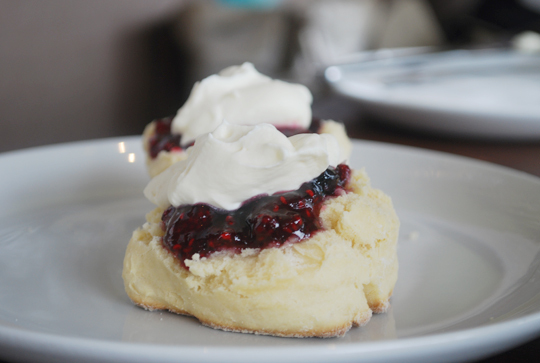 The scones arrived at our table warm and fluffy with whipped cream and a homemade mixed berry jam that’s so popular that Zimt sells it by the jar for guests to take home with them. After enjoying the scones we moved on to the second tier of miniature cakes, which offered a colourful display of macarons and miniature tarts. 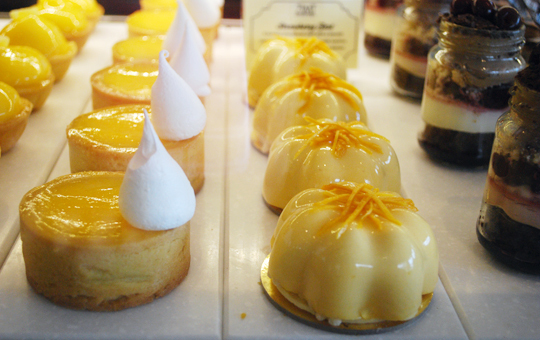 The tarts’ pastry was short and crisp and the fillings were really creamy and rich. I particularly enjoyed the super glossy dark chocolate ganache tart which had a whole fresh raspberry in the middle of it. I wasn’t blown away by the strawberry macaron, but it was crisp and a pretty pink colour. The stand’s lowest tier housed savouries – a bacon and cheese croissant (flaky and delicious) and a miniature chicken and avocado baguette. 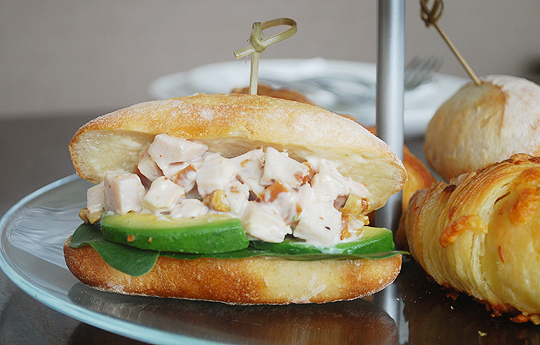 The baguette was thoughtfully put together and included little pieces of bacon and walnuts, adding an extra layer of texture and interest to an already stellar combination. Dietary requirements such as gluten free and vegetarian can be catered for with notice. 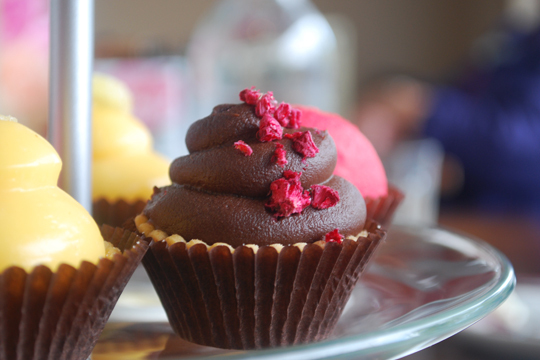 Nut allergies can be catered for though the bakery is not a nut free environment. 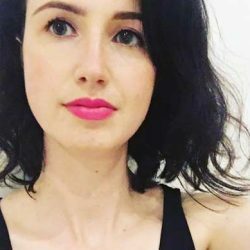 Happily, it’s not just the scones at Zimt that are warm, the service and atmosphere are noticeably friendly and inviting too. A visit to Zimt is suitable for a broad range of people – families with children, groups on a girls’ weekend or as your regular catch up spot with your mum. 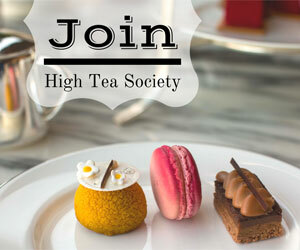 There’s even a high tea option for children, which features kid-friendly items like mini vanilla cupcakes. While dining we spotted a couple on a date splitting a brownie with their coffees, an elderly couple enjoying a light Sunday lunch and a group of dads sitting outside in the sunshine, catching up while their kids tucked into Zimt’s cakes. Our waiter Matt was genuine and ever-helpful, even finding us lovely Zimt takeaway boxes when the large savouries and oversupply of excellent scones meant we weren’t able to quite finish our high tea. Owners Michael and Sue Leidler have clearly worked hard to make this a welcoming space with a quality food offering using traditional baking methods and ingredients. 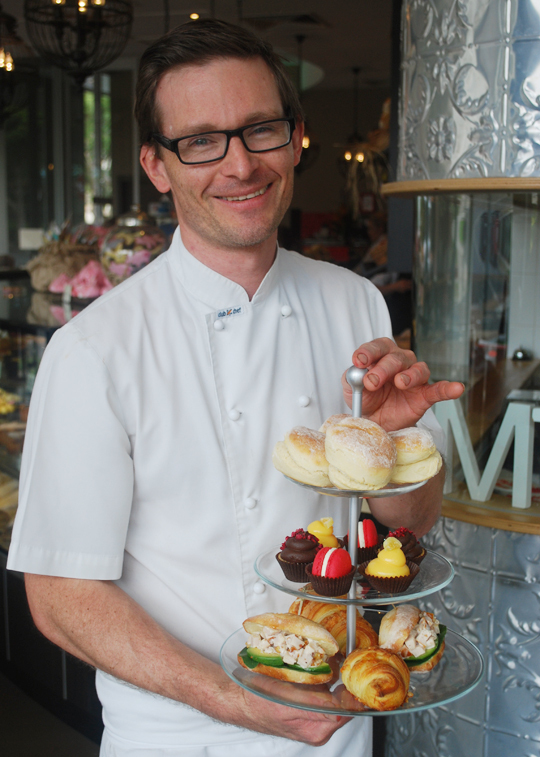 Michael is a pastry cook with many years experience and he heads a team of passionate staff, both in the kitchen and on the café floor. 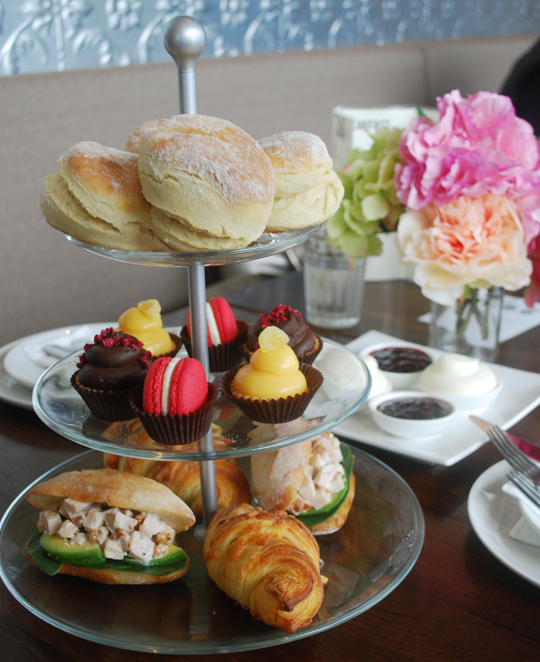 They host special high teas for both Mothers’ Day and Fathers’ Day, with this year’s Mothers’ Day event selling quickly. 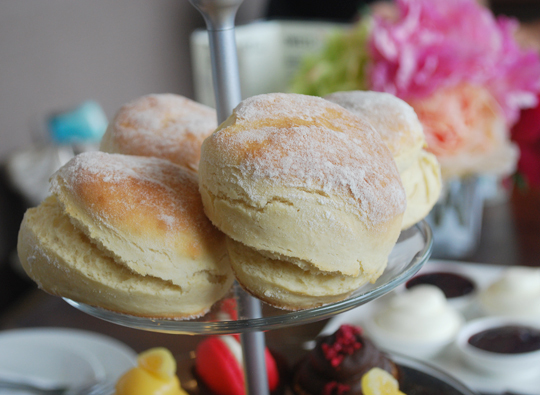 The Mothers’ Day high tea is $60 per person (or $50 without champagne) and includes your choice of beverage, classic breakfast fare like poached pear granola with pot set yoghurt, plus Zimt’s delicious scones and their extremely popular weekend-only breakfast bagel. Later in the year, planned Fathers’ Day events also sound like a lot of fun, with craft beers and a selection of sliders served to hungry dads. 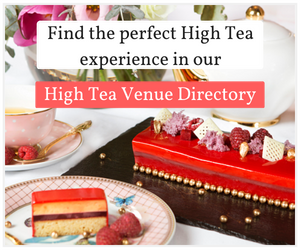 There’s no linen tablecloths or flowing champagne at Zimt, but the honest and truly delicious high tea they serve with a side of friendly service has to be just about one of the nicest ways to spend a relaxed afternoon in Melbourne’s leafy suburbs. Zimt is open 7am to 5pm, 7 days a week. $35 per person, $25 for children.